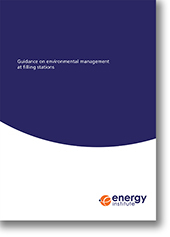 This publication acts a reference guide for individuals charged with environmental protection at filling stations and to direct them to relevant legislation, codes of practice and other publications. It is therefore aimed principally at owners and operators of petrol filling stations (PFSs) and will also be of use to those involved in the inspection and maintenance of PFSs and to regulators. This publication focuses on assessing and managing the risk associated with a loss of fuel at a site. It assists with the development of an Environmental Management System as a practicable means to manage environmental risks associated with operating a PFS. This includes guidance on undertaking an environmental risk assessment in line with current United Kingdom (UK) government principles. Guidance on risk assessment for the water environment at operational fuel storage and dispensing facilities (1999).